Coffee has plenty of nicknames, but ‘Java’ is one of the most common ones. How did this come to be? The reason for this name is obvious when we take a close look at the history of the plant. You see, back in the days coffee only grew wild in Ethiopia. Finding out about the plant’s potency, Arabians took it with them to Yemen. Here it was grown commercially with great success. In fact, the business around coffee was so profitable that it was punished by death to take the plant outside the country. This didn’t deter a group of Dutch merchants. They were able to steal a few plants and bring them to Indonesia in 1696, which was a Dutch colony back then. Coffee flourished on islands such as Sumatra, Sulawesi, and – you guessed it – Java. Since Java was the main island where the capital Batavia (today called Jakarta) was located, the majority of coffee was exported from here. Rapidly, Indonesia became the world’s largest exporter of coffee. So most of the bags arriving in Europe said ‘Java,’ and this is how the nickname came to be. In earlier times, there weren’t as many exciting single origin coffees as there is today. In fact, only a handful of countries exported coffee. As mentioned above, one of the other early coffee producing countries was Yemen. This name is used today even though modern blends rarely use any beans from Yemen. Should you drink Java coffee today? It’s still possible to get coffee from Java today. But the island is no longer the leading coffee producing region in Indonesia. Leaf rust (a nasty disease often targetting coffee) ruined a lot of traditional coffee farms at the end of the 19th century. 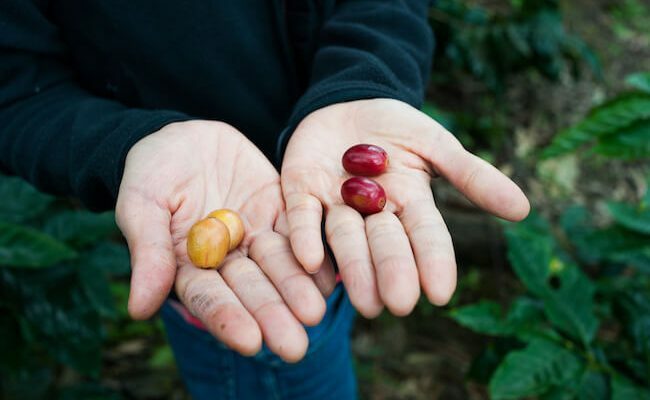 The Dutch responded by planting the more disease resistant coffee varieties Liberica and Robusta, but none of these have the same exquisite flavor as arabica. For that reason, the islands of Sumatra and Sulawesi have taken over as the leading coffee producing islands. Bali, a popular tourist destination, has also started to produce a lot of exciting coffees in recent years. As we have seen the history of Java and coffee are closely intertwined. Does that mean that Javanese coffee is excellent today? Unfortunately, it doesn’t. The coffee industry in Indonesia struggles with quality issues, and unfortunately, we see a lot of ‘gimmick’ coffee being produced in this country. Kopi Luwak is one such gimmick coffee. I have written about it elsewhere so I won’t leave it much space here, but basically, this is the coffee that is fed to cat-like animals called palm civets, and then collected as dung and roasted and sold at absurd prices. Kopi luwak not only tastes pretty bland, but it’s also animal abuse. Java also produces so-called ‘aged’ and monsooned coffee. 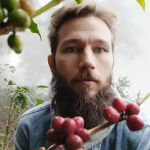 These ways of processing also alter the flavor profile in a way that most people in the mainstream coffee industry would object to. If you’re lucky, however, you can still find a delicious cup of pure java but just realize that coffee from this island doesn’t quite live up to the past. If you want to know which coffee indeed is the best in the world, then check out my article on the topic.